I read this one for my book club, and I really enjoyed it. The author comes right out and says that she doesn't want to give the reader any more lists of things to do, she knows we are already busy enough. 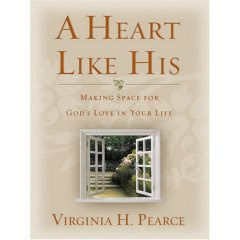 Instead she wants us to focus on "softening our hearts" so that we can feel the love of the Lord in our lives. If we do that one thing, we will automatically change how we act in certain situations. I really liked how practical and down to earth the author is. She never acts like she has everything figured out, in fact, she calls the act of softening our hearts and "experiment, " meaning that it could work, or not. She also repeatedly says she doesn't want us to make this assignment into extra visits, or casseroles. She seems to understand how full our lives are already are. I'm not sure if this book has changed my life, but it has stuck with me, and given me some things to think about and work on.